Some members may become nostalgic reading about Ken Seymour’s superb FJ Special sedan, but my own earliest FJ memories are anything but warm. My grandfather was an SP bookie in Newcastle. 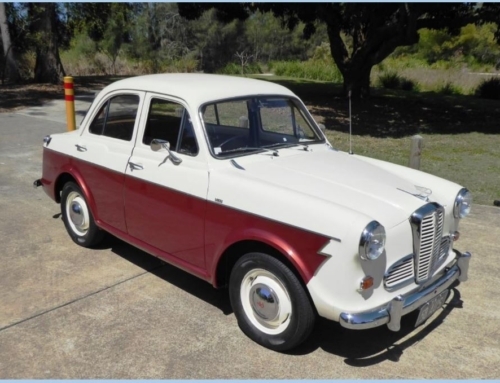 On Thursday nights, when FJs were still novel, dad would drive mum, my young brother and me down the winding Pacific Highway from Newcastle to Gosford to deliver Grandpa’s betting tickets. The round trip was three or four hours, way past my bedtime, and I remember rolling miserably around on the back seat. Fortunately, Ken’s FJ evokes much happier memories. 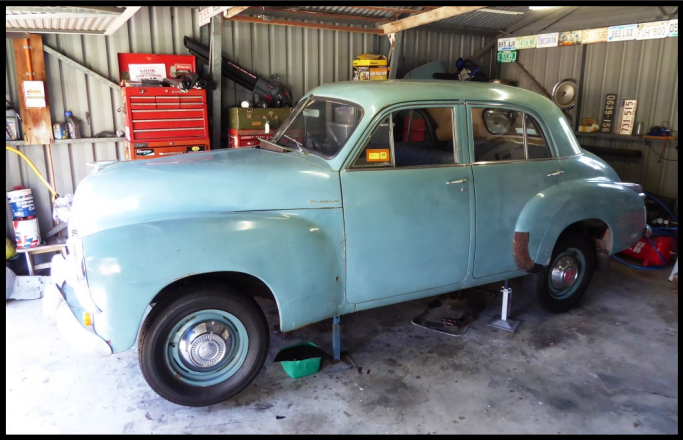 It’s a two-family car: Ken’s father bought it from the original owner’s family in Eumundi in 1989. When Ken’s family later moved from Maryborough to Darwin they took the FJ with them. 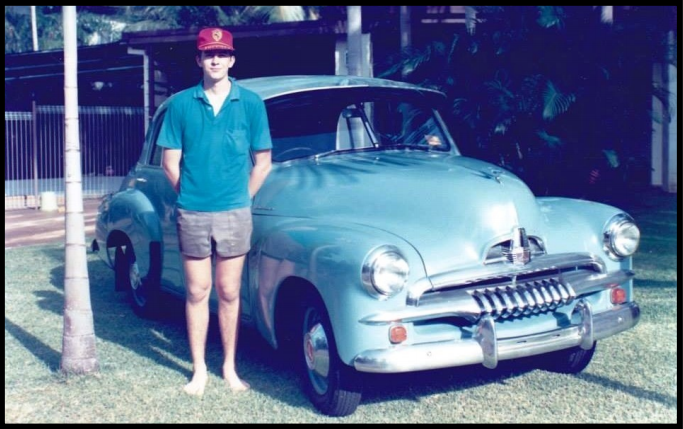 Then, after several years in the Northern Territory, Ken returned to Brisbane with the car. 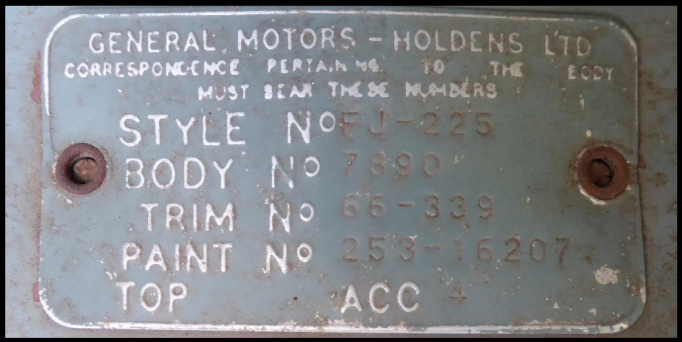 The car’s ID plate, chassis number ending in “B” and engine casting date show that it was manufactured at the Woodville factory in South Australia and assembled in Brisbane in April 1954. The body of Ken’s FJ is very sound. 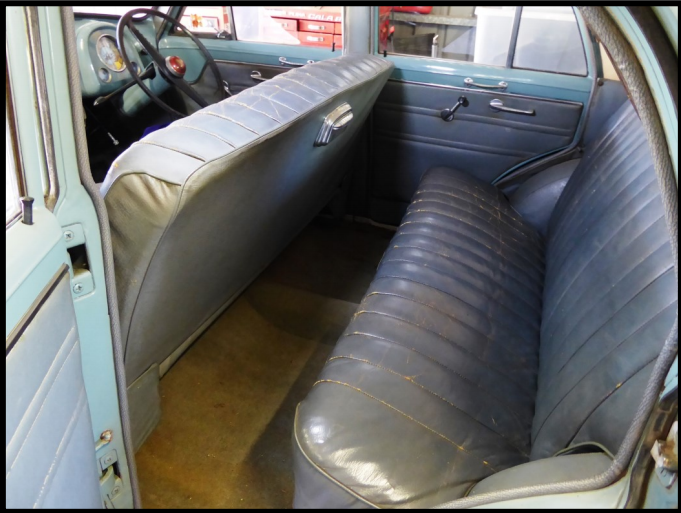 It has some bog in the left front guard but is otherwise mint, with its floors and sills in particular completely rust free. 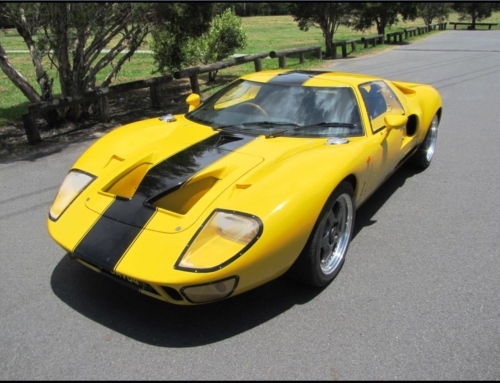 Ken believes that the paintwork is original, and it’s certainly in great condition for its age. 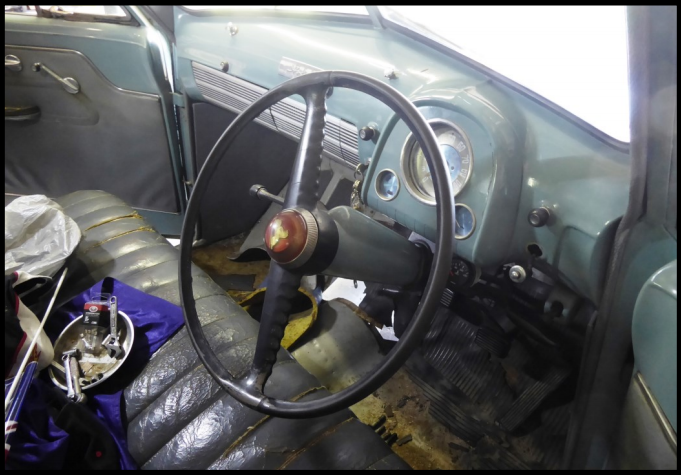 The car’s mechanical wear and tear is typical of FJs. The gearbox needed work: its bearings had to be replaced, but these are readily available. However cluster gears are hard to find, so Ken had to seek a complete replacement gearbox. The challenge here is to find one better than the one you already have! Some teeth on the flywheel showed excessive wear, so Ken planned to replace this as well. 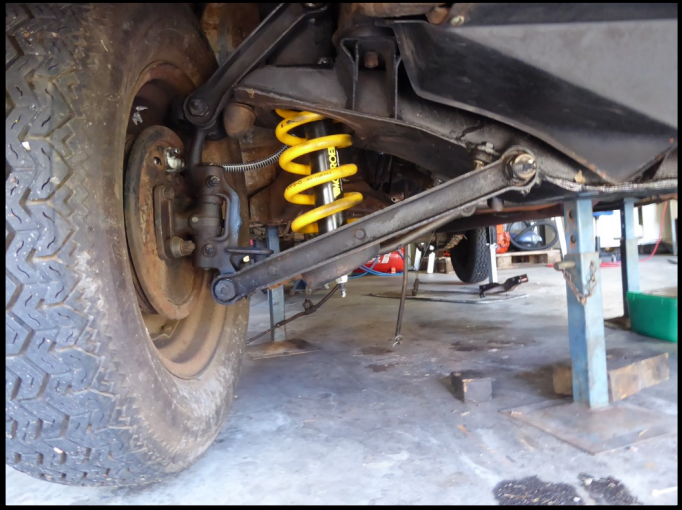 The suspension has been completely reconditioned, with kingpins, bushes and shock absorbers all being replaced. Ken has also replaced the tailshaft yoke with one from a later model which uses a more readily-available universal joint. As with the gearbox, original parts are now very hard to find and expensive. The car has very few niggling issues. Ancient Bake-lite starter switch bodies crack and are hard to replace, but Ken manages to keep his working. 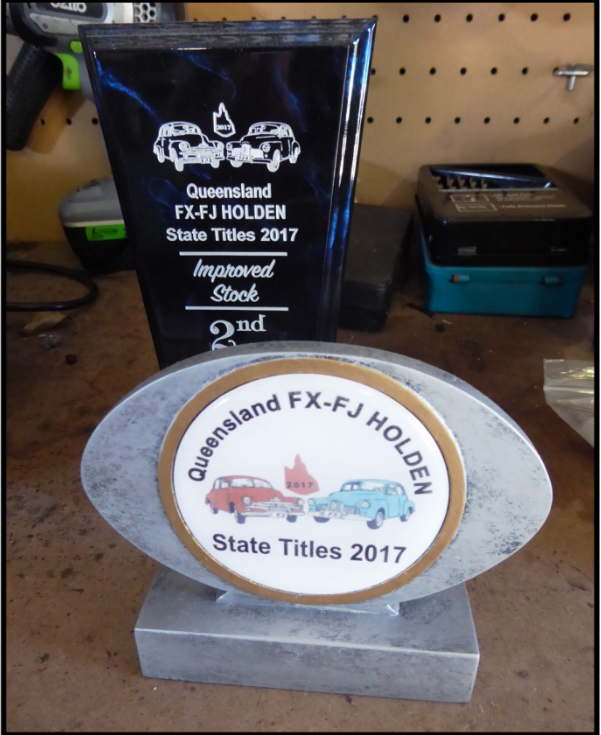 Last year Ken entered the car in the FX-FJ Holden Club of Queensland State Titles. 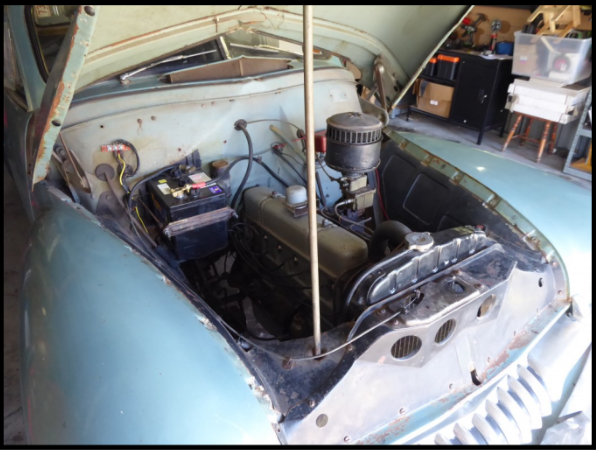 He had intended to enter in the Stock class, but the scrutineers decided that the inline fuel filter and larger battery tray (to fit a modern six-volt battery) meant that it had to be entered in the Improved Stock class. However it promptly won second prize in Improved Stock. Ken was happy with the trophies, but equally delighted that the car could easily compete in the Stock class. He’s already removed the filter and replaced the battery tray to return the car to Stock. 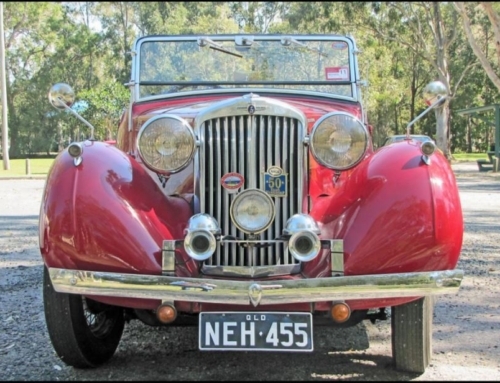 The car still had one of its original Queensland plates when Ken’s father acquired it. 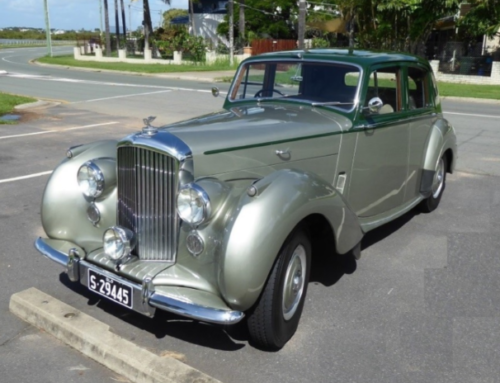 It was reregistered in Queensland on its return from the Northern Territory, but Ken plans to restore it to its original number. Most Club members would be familiar with the history of the FJ. 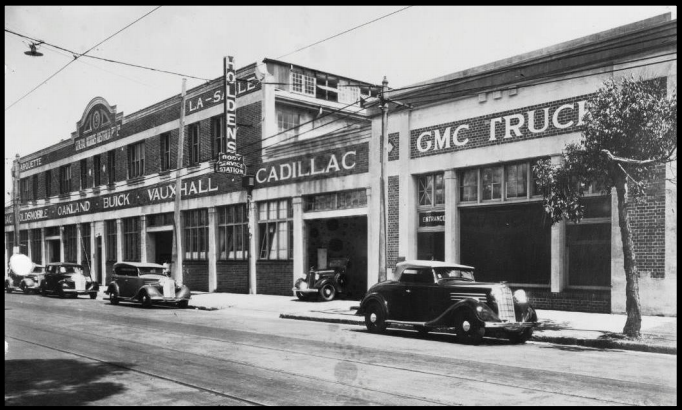 It was the second “all Australian” model manufactured by General Motors-Holden’s and was based upon the earlier 48-215 series (later dubbed the FX). 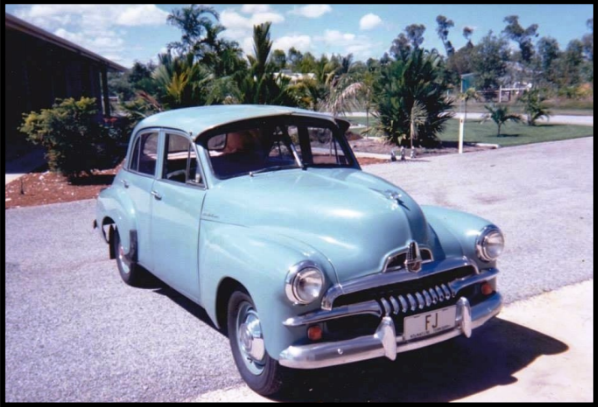 The sedan (in Standard, Business and Special trim) and a utility were announced in October 1953 and were followed by a panel van later that year. The FJ retained the FX’s 2.15 litre (131 cubic inch) six-cylinder engine with a claimed 45kW (60bhp) at 3,800 rpm, but power was later increased to 48kW (65bhp) at 4,000 rpm. Deluxe leather replaced vinyl on the bench seats, there were arm rests on the front doors, the interior light came on when you opened the doors, there was a cigarette lighter, chrome surrounds around the gauges, the dash grille extended across to the glove box, the rear passengers had straps to hang on to as the FJ leaned over rounding corners, and knobs on the window winders and windscreen wiper switch were black with a nifty chrome insert. 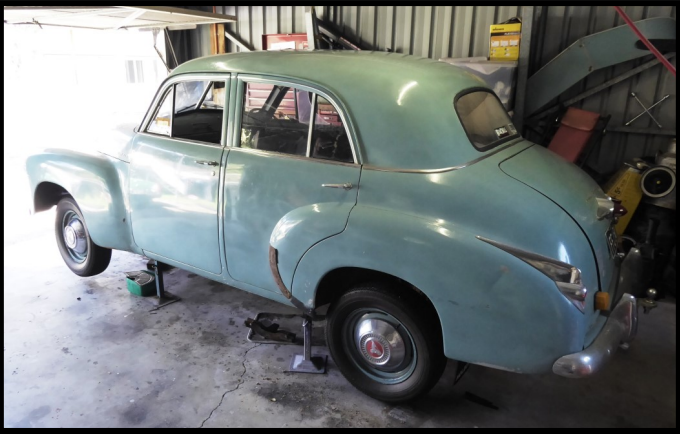 A Special could be recognised from the outside by its chrome window trims, chrome belt line trim, the small fins mounted on the rear guards, and the Holden Special script badge on the boot lid. A snappy two-tone paint scheme was available for the first time. The FJ was in production from October 1953 to June 1956, with around 170,000 sold, and was succeeded by the FE series. When I visited Ken he had the gearbox and tailshaft out of the car. 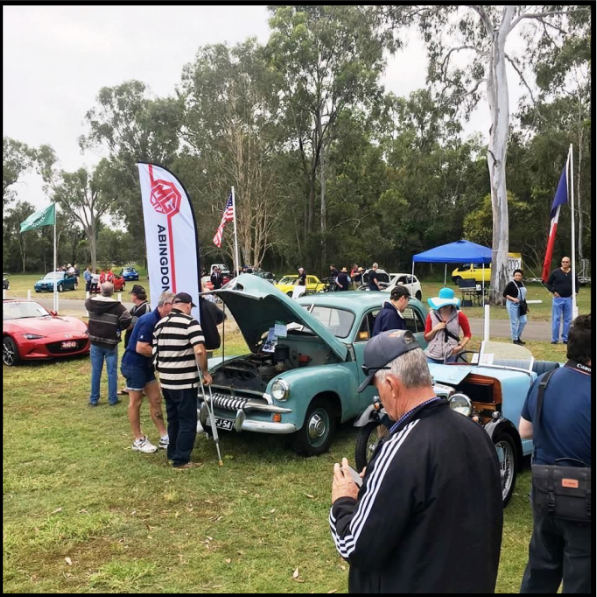 But it’s now back on the road, and Ken celebrated by taking it to the MacLean’s Bridge Sports and Classic Car Festival on Sunday 27 May. Ken’s enthusiasm for cars isn’t restricted to old ones. He has a few more interesting vehicles, and perhaps we can show these in future magazines.